Inventor, Clayton Nolte, has unveiled new water devices that offer excellent hydration and detoxification properties for the body. He calls his products Ultimate Structured Water Devices. Nolte says that his devices are based on how nature purifies water in the oceans and rivers. He has observed that nature uses a process of dynamic motion of all kinds, tumbling the water every which way and making it run through vortices in order to restructure the water and make it pure again. So Nolte’s devices do the same thing. His Ultimate Structured Water Devices have geometrically shaped chambers inside of the unit That cause the water to swirl in a vortex fashion, sort of like a tornado, both clock-wise and counter clock-wise at the same time. Next, the water passes through a field of glass beads that causes the water to tumble every which way, adding even more motion and momentum in the process. When regular unstructured tap water flows into the inlet side of the device, the water that comes out the other end is both soft and structured, after going through the natural cleansing process that happens within the unit. There are many benefits to using the structured water. 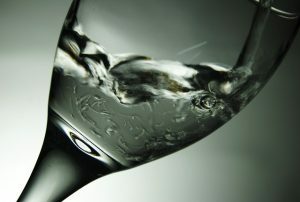 Has a very small water molecule that can easily absorb toxins. 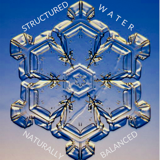 The structured water has a natural intelligence that allows it to discern what is good for the body and what is harmful for it. It absorbs the things that are bad for the body, like chlorine and fluoride, and holds them in isolation for safe removal from the body. And if there is still room in the water molecule, it will start pulling other toxins such as viruses, bacteria, pesticides and other harmful chemicals from your body as well. In other words, this natural water will detoxify your body. The second huge benefit that this unit delivers, is that it really helps to hydrate the cells of the body and that includes all the organs, tissues, and skin, and helps to balance the PH of the fluids of the body. That amounts to anti-aging, and boosting the immune system. All from drinking the right kind of water. Clayton Nolte has developed 5 different size units for home, garden and commercial use. There are testimonials on the website from customers all over the world regarding the water in livestock operations, greenhouse applications and public restaurants as well as home and personal use.